Our youngest will be graduating from St F X this weekend, and we've made several trips already to bring his apartment contents home. His log cabin X quilt came in the last load. 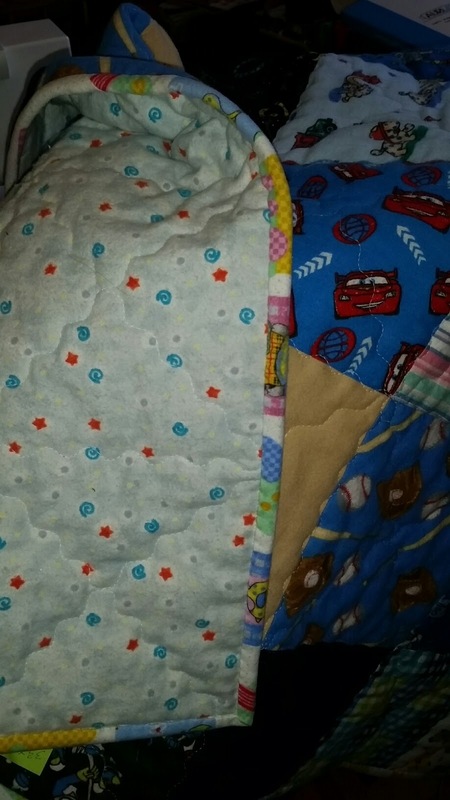 I made this quilt as a graduation gift for him from high school to take with him to university. I fully expected it would not survive the ordeal well, but I am happy to say it looks as good now as it did then. 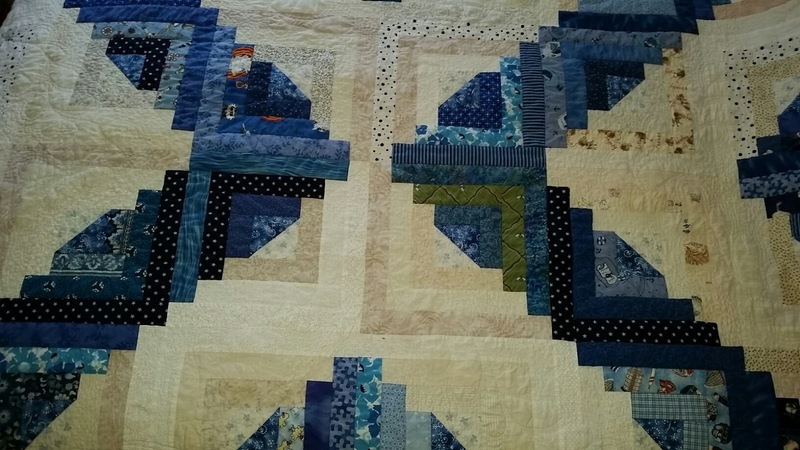 It was my first attempt at feathers on a bed-sized quilt and I recall how much I fussed about getting the plumes even, and the spine symmetrical. I have relaxed so much since then - there would be no stress to quilt this today. Despite years of machine washing and drying, the stitches have held and the quilt looks great. He loved receiving this quilt at the beginning of his X journey, and I expect it means more to him now at the finish. It was barely a week ago I showed you Diane Zdep's beautiful version of Florentine, and now she has finished up another from my Quilting Beauties book. This time she chose "X and O". If you click the last link, you will see it doesn't much resemble my original. They were abuzz with activity, and many of the workers were returning with their leg pouches filled with pollen. They are anxious to get back to work! And everybody loves a good quilt show, too! Diane Zdep of Alberta has done it again, this time embellishing "Florentine" from my book Quilting Beauties. If you enlarge the picture, you will see she has added embroidered motifs to the centres of the New York Beauty blocks. Very, very pretty - and Diane's quilting adds great texture to the piece. You can see Diane's embroidered version of Oriental Beauty and her stunning Christmas Beauty. at these links. Thank you for sharing, Diane. Can't wait to see what's next! A sincere thank you for all your Aurifil thread orders; more thread arrived today, including 5,900m cones of 50 weight cotton. These are great not only for long-arms, but can be used on your domestic as well with some minor adjustments (like using a cone holder!). 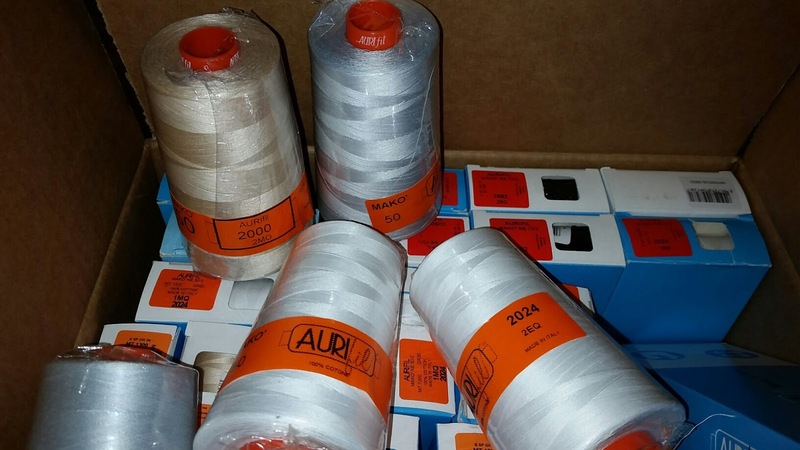 We have nice, neutral shades in stock which will save you a considerable amount if you do a lot of sewing. Please email for particulars. Lately I have been busy doing work which has kept me away from the sewing machine - writing, designing, working on posters and brochures, preparing for things coming up this spring. It's all good, and all work-related, but it hasn't allowed me much time to stitch, and I miss that. I need that! So I've decided now when the work day ends, I will choose a small stitching project that requires no thinking for my tired brain. I have made a couple more zippered pouches, including this one from a gorgeous piece of Stephanie Brandenburg fabric. I just love this print! The fabric was leftover from a tote, trimmed in Seminole patchwork, that I made a couple of years' back for my friend Jill in Fredericton Junction. Another day, I basted and machine quilted a flannel top for a baby quilt that I had pieced another day I needed something mindless - it's just squares, quilted with squiggly lines. I stitched the binding on the following day. Yesterday Grandma Coco posted a sweet pattern for a kitty enjoying some April showers. Cheryl had sketched out her design to use on cookies she was decorating, and then decided she would get double-duty from her sketch and use it as an applique quilt block. 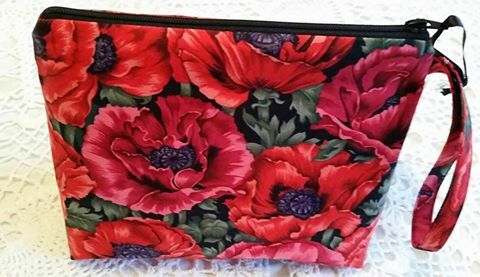 She invited folks to download the pattern for free from her blog and to stitch along with her. 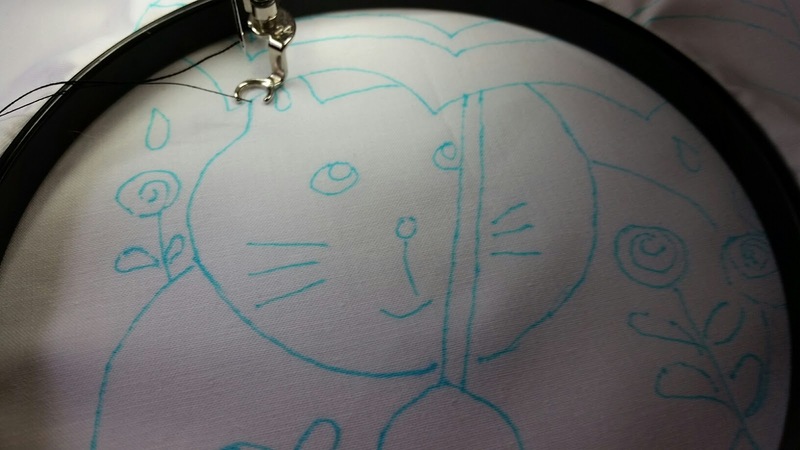 I decided instead of applique, I would try embroidering the kitty. 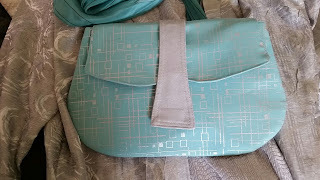 I set my machine up for free motion stitching, with heavy 12 weight Aurifil thread in the top and a size 16/100 topstitch needle. It took no time to embroider the block. As you can see I used a hoop, but I kept banging into it with the edge of the foot so next time I will stitch without a hoop. This is how my very talented friend Monika does it, so I know it can be done. 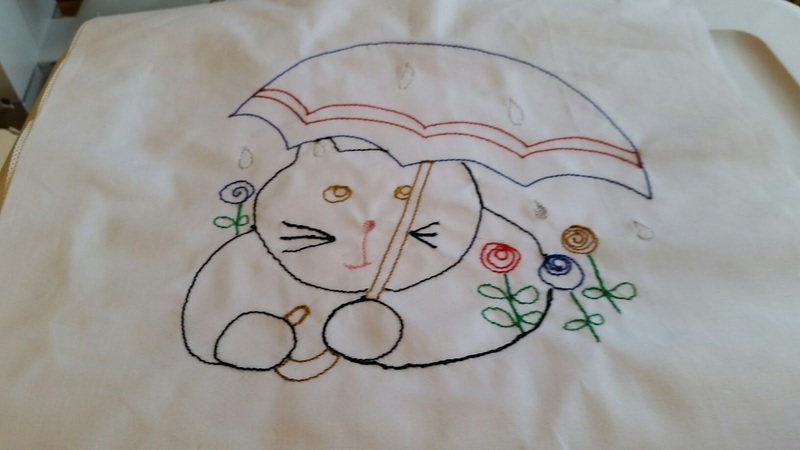 Skip over the Grandma Coco's blog and see her block and cookies, and join us in stitching!